Opening hours: 7am to 10pm daily. Designed and decorated by Bob Bosco in partnership with Creighton University Art Department. 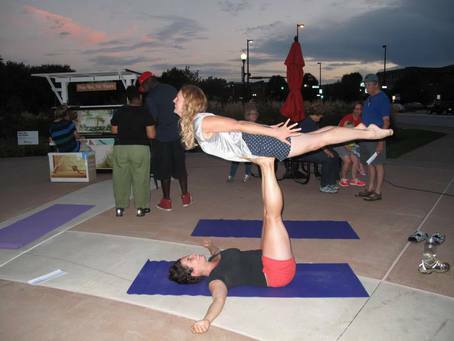 Hosted by ConAgra Foods. some late night "Scenes From an Italian Restaurant"
It rained that morning so the piano keys are sticky. It rained in the morning, so the keys are wet. I love the location of this piano, and it's still in good condition. 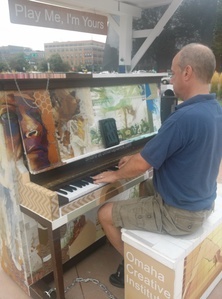 I played this one for a while, with a nice little audience, then moved on to my last one at Florence Park. This delightful costumed White Wolf sat down to tickle the ivorys with her nimble claws one fine day - on the Bob Bosco Yoga Piano. Things have never been the same since ... actually everything is more magical now ... forever more. 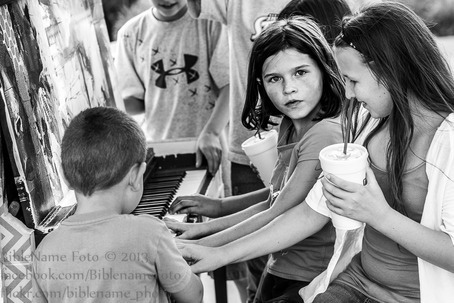 "The Girl Who Played With Piano"
I'd gone there not during an event or anything, but just because I had a few moments. There was no one there at first, and then a gaggle of excited kids wandered by and plunked down to plunk out a few raucous notes. This girl noticed me. I knew the moment the shutter released that I had a shot that uncovers a story in that girl. 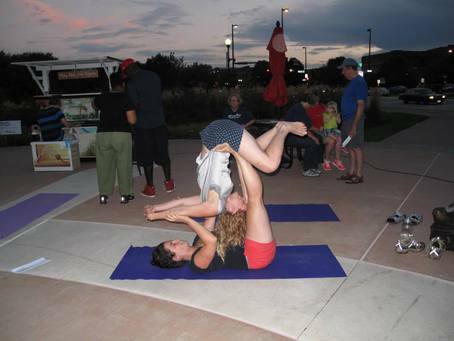 More acrobatics in front of the Yoga Piano - these two women were quite amazing. 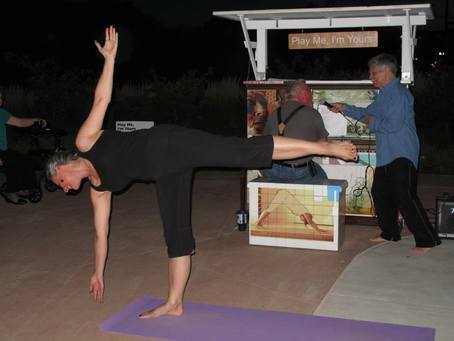 Doing Acrobatic-Yoga by the Yoga Piano - very inspiring. 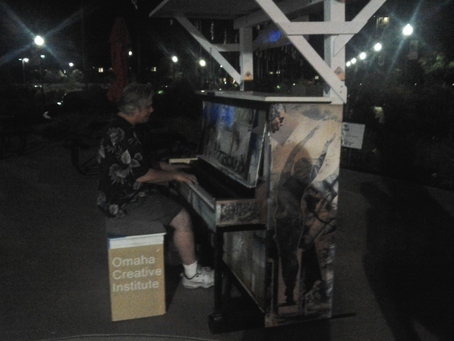 Beautiful piano, beautiful music and a great night to be outside.